The One Stop Portal for Women's Makeup & Beauty Tips, Latest Fashion Trends, Easy Home Recipes and Health Advise. GlamChica is Complete Online Magazine Dedicated to Womanhood. I'm again back with another budget Thursday post. 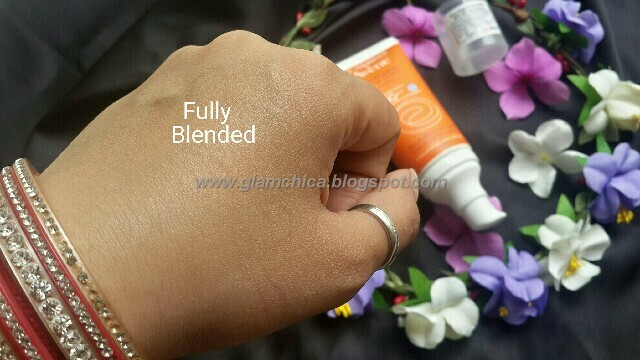 In this post I'm going to share with you pocket friendly yet so effective exfoliating clay. 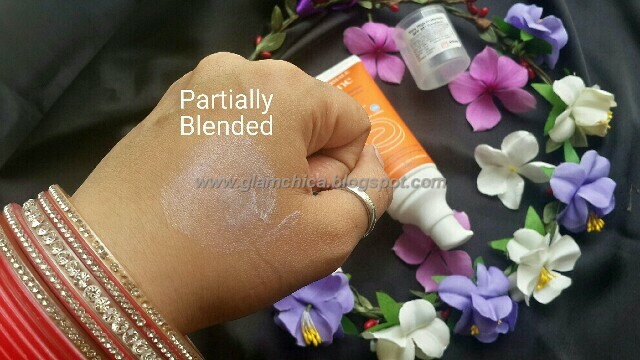 I'm talking about brand Za, thoroughly enjoyed using this mask, read on to find out why I love this so much! 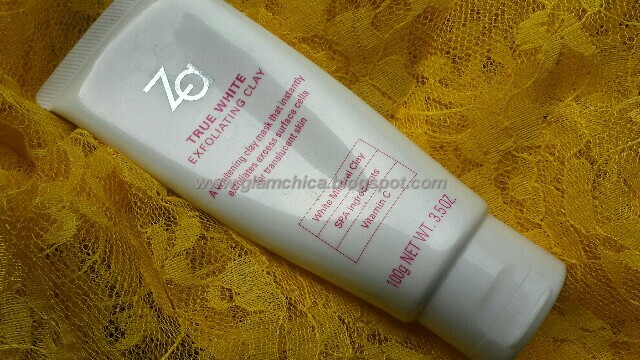 Packaging : Za True White Exfoliating Clay comes in opaque tube packaging which is white in color and details are imprint with fushia color. It comes with a flip top packaging. It's quite sturdy & travel friendly as well! At this price this is really awesome, very less amount is needed to cover entire face & will last you more than 4-5 months if used twice or thrice a week. Have been using this for so long & you can see I'm half way through it! 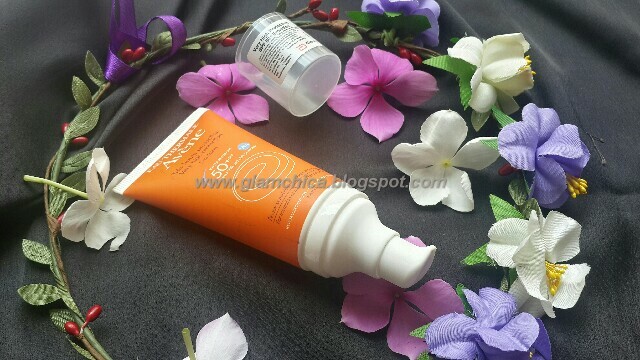 Final Verdict : Za True White Exfoliating Clay is the best clay mask option to get radiant skin within minutes that too pocket friendly. It makes your skin squeaky clean & refresh. Highly Recommended! Hope you like this budget series! Do share your valuable comments below! 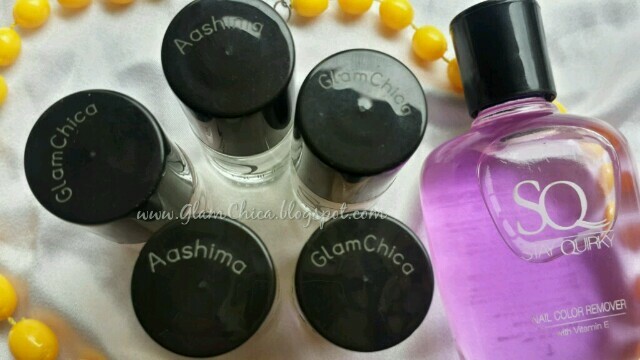 Stay tuned with GlamChica for more product reviews, makeup & fashion updates! 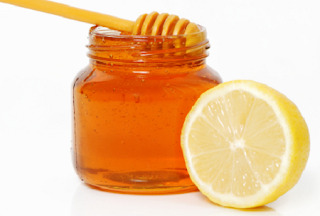 When you wake up in the morning, first & the foremost thing is to have lemon & honey with warm water. 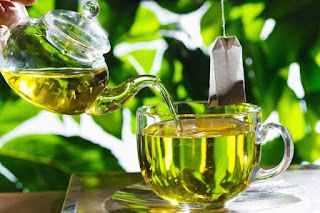 This drink not only aid to weight loss & reduce tummy fat but also add glow to your skin. It is the best detoxification drink I've ever tried. I swear by this drink from last 4-5 years. On another note it completely helps in clearing my pores from within. I definitely suggest you to start your day with this. 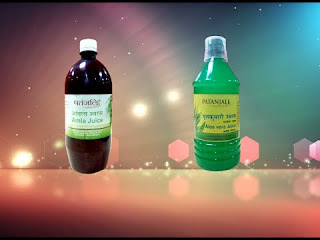 Another magical drink which adds glow to your skin from within is amla & aloe vera juice. I prefer Baba Ramdev drink. All you need to do is after having your lemon honey drink take a break of 15 mins & then add 5 ml of each amla & aloe vera juice to half glass of lukewarm water, drink this whether together or separately as per your taste, I prefer drinking it separately! If you want shiny & lustrous hair then start having 8-10 curry leaves on empty stomach the very first thing in the morning. I guarantee if you have this for continuous 6 month, can see a visible difference in the texture & shininess of your hair. Saying from my Personal Experience! It hardly takes you a minute to have this sweet neem. 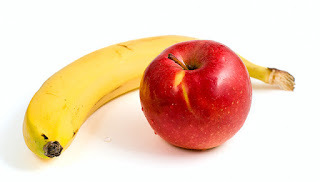 Every one says fruits are the best for skin but my top picks are banana & apple. Bananas are rich in antioxidants & helps to maintain the collagen of your skin. I swear by this fruit, everyone says it makes you fat but I think it really helps in improving the texture of your skin, making it glowing & radiant. Start having banana in the morning & your skin will thank you for sure! Apples are the excellent fruit to clear you bowel which in result helps in reducing acne & pimples, gives you acne free shiny skin. Start having this in the morning to see visible result especially banana. Time to have some fiber & calcium. Mixture of these two not only makes you full but also helps in reducing unnecessary carving. Both of these add awesome glow on your face. Have this in the breakfast to keep yourself active & lively. You can add your favorite fruits or even dry fruits to make it taste more yummy. 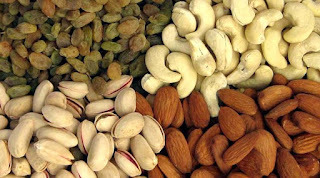 Dry fruits are so good to maintain your skin elasticity. Almonds & walnuts are rich in essential oils which give your skin nourishment from within. 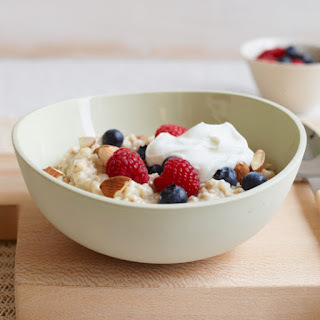 Have this in the morning whether alone or mix it with your milk oats recipe. 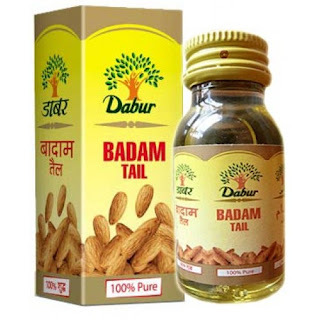 These two help in reducing hair fall also. 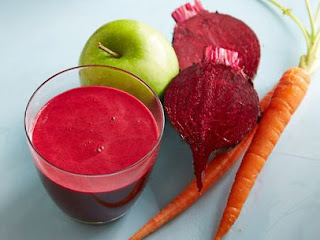 You might be wondering what is this ABC juice, let me tell you it is the mix of apple + beetroot + carrot. This is the miracle drink. 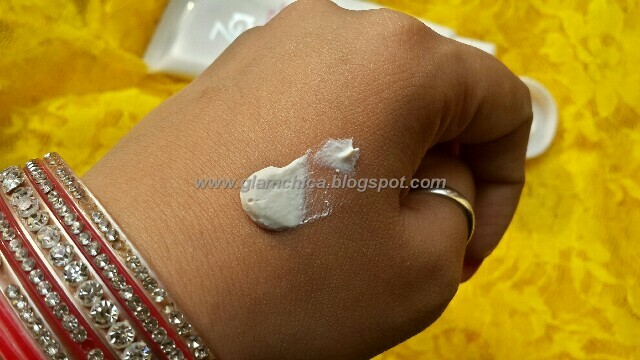 I had this for two month before my wedding & it seriously helps in making my skin resplendent. Best time to be taken is in the morning. The most delicious detox drink to purify your skin from within & gives you ultimate pinkish glow. Tried & Tested. This doesn't need any description, maximum intake of water not only makes your skin hydrated but also helps in clearing acne & pimples. Drink, drink & drink! 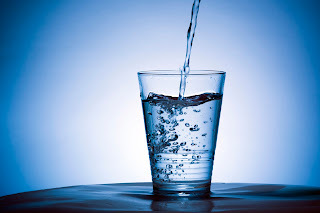 The drink with helps to reduce belly fat are so rich in antioxidants, which clear your skin from deep inside in result making your skin glowing. Have 2-3 cups of these daily to see what miracle this can do with your skin. I promise you this is the last tip to get glowing skin. 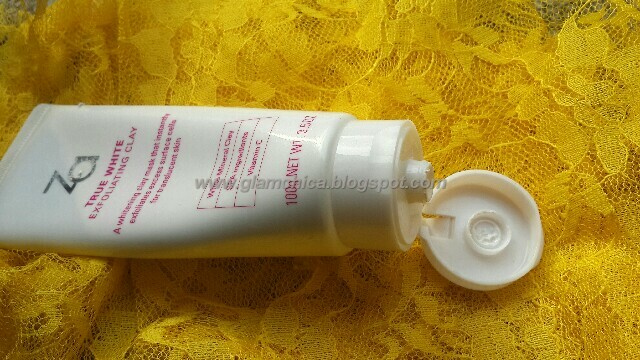 Try to have one teaspoon of this oil daily with lukewarm milk at night to see how your skin lustrous within few weeks. I have been having this for last 6 years and I love this to the core! Hope you found this article useful, everything I've in my routine to get that sparkling glow on the face! Do share your comments below if have tried any of these! Stay tuned with GlamChica for more fashion updates, skincare tips, product reviews & makeup looks! 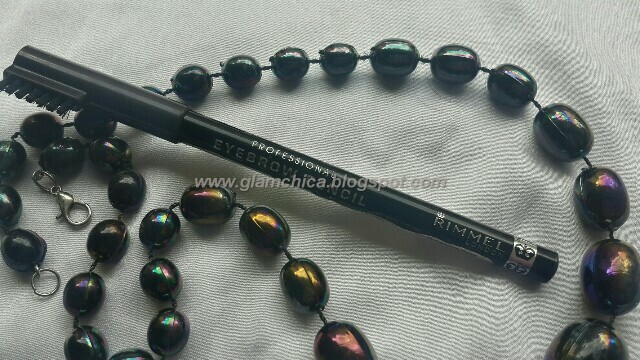 Packaging : Rimmel London Eye Brow comes in a wooden pencil form which has to sharpen. 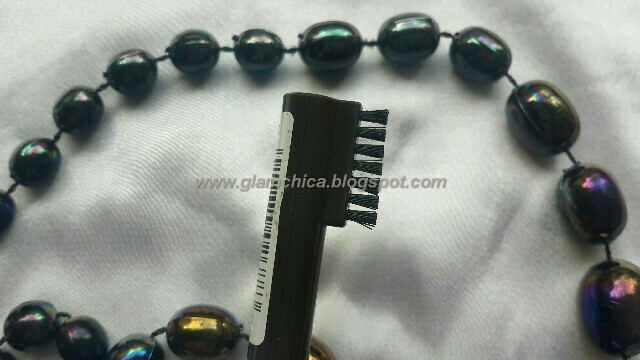 It comes with a cap that has brush applicator to comb or groom your eyebrows. This is very travel friendly packaging and if you're in hurry this is the best option to shape your eyebrow. Have a look on the applicator brush below! 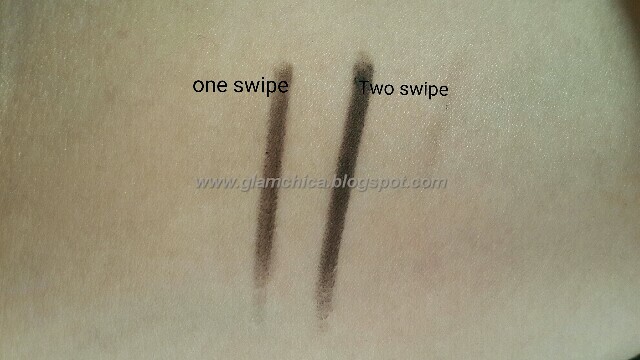 Final Verdict : Rimmel Eyebrow pencil is super affordable. I think it has to be in every girl vanity box. 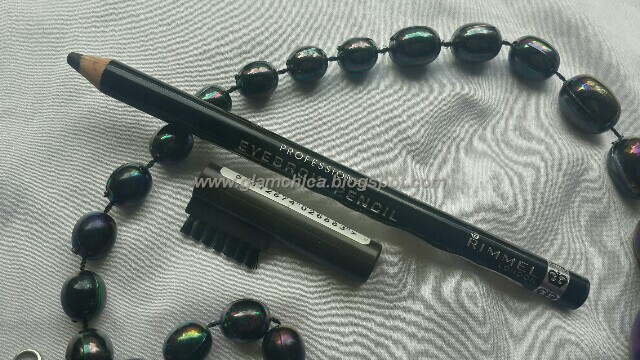 It comes with a small brush over the cap which is the best part to groom your brow anywhere anytime. At this price tag & quantity it will last you very long, so Highly Recommended! Hope you found this article useful! Do share your valuable comments below! Stay tuned with GlamChica to know more about beauty, fashion trends, product reviews! 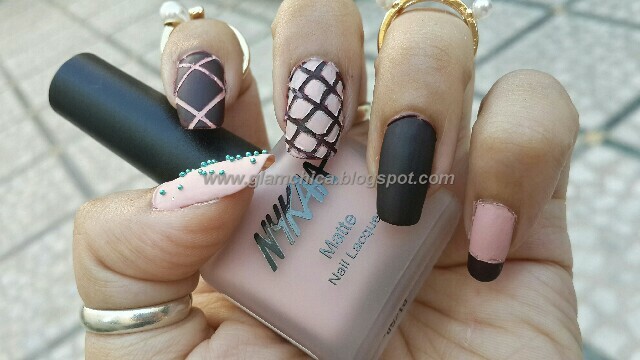 Hope you all are enjoying weekend & I'm busy with my Sunday manicure :P. So today's post is about matte nails from the brand My Nykaa's newly launch matte collection. 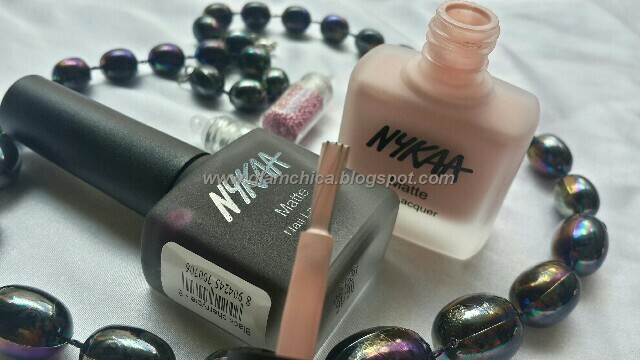 Read on to find out more & enjoy the pics :)..
Packaging : My Nykaa matte nail paints comes in square bottle packaging with long handle which is really easy & comfortable to hold, gives the precise application. The body is matte in texture with Nykaa imprint on it. It comes with thick flat brush applicator which makes it convenient to spread the polish evenly. These nail paints are to be taken care of while travelling, they can lead to breakage if not packed properly, otherwise they're good! 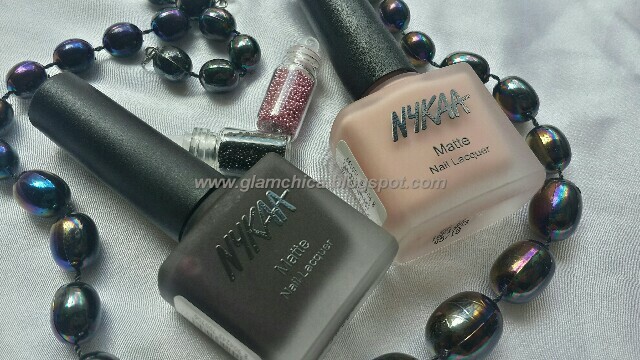 What Brand Says: The Nykaa Matte Nail Polish Collection is Five Free means free from chemicals like toluene, DBP, formaldehyde, formaldehyde resin, camphor. It is not tested on animals (just on our team!) and contains no animal-derived ingredients. Out of 12 shades I picked up two - Pink Meringue & Black Cherry Pie. I really liked how they've named them like chocolate, frosting, milkshakes, pie etc.. Staying Power : Talking about the staying power, regular Nykaa nails paints range have stayed on quite well for more than a week, these matte collection stays well for the entire week and finish is super classy I must say! Final Verdict : The 12 newly launch Nykaa Matte Collection have light to darker shades for upcoming fall season 2016. These have very impressive matte texture, I've become a fan of such splendid matte nail paints. One has to be really quick with the application in order to avoid streaky lines because it sets very fast. If you're on budget & want to try nail paints that have completely matte feel then you should try at least one shade from this range. Highly Recommended! 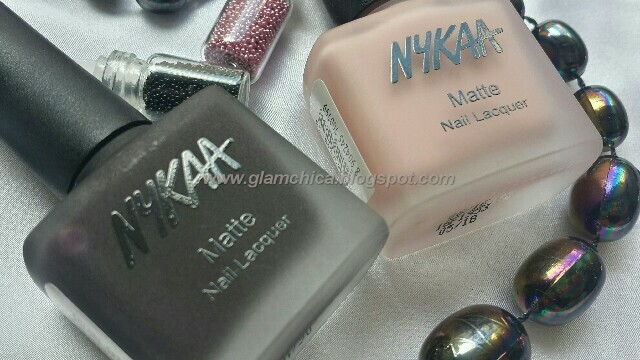 Have you tried Nykaa New Matte Collection range! Tell me what are your picks in the comment section below! 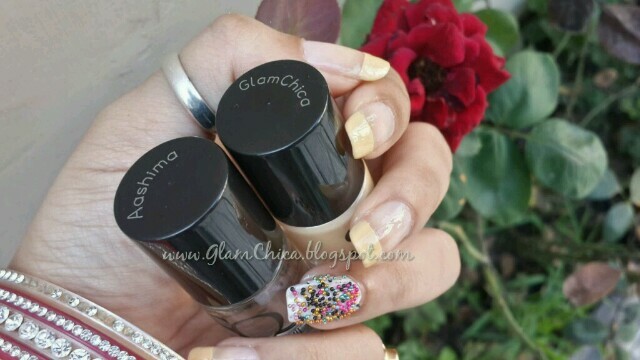 Stay tuned with GlamChica for more nail trends, fashion updates & product review! Product Specification : It is hypoallergenic, non-comedogene, water resistant & paraben free. 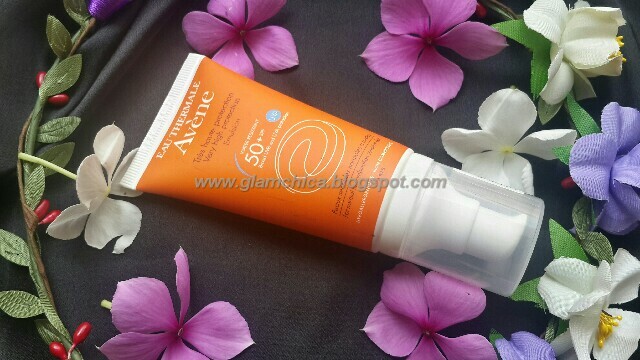 It is suitable for normal to combination skin, contains broad UVB & UVA protection with SPF 50+. 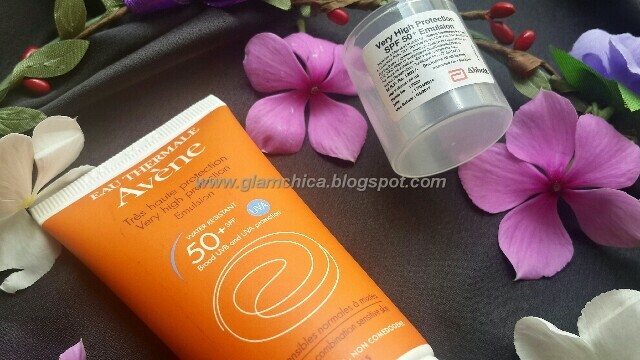 Packaging : Avene Very High Protection SPF 50+ Emulsion comes in sturdy tube type packaging with airless pump dispenser, which is very easy to use & spread out the product as much required, no mess at all. The cap locks up effortlessly which makes it travel friendly too. Impressive! As I told you earlier sunscreens are very important whether you're indoor or outdoor. What if your sunscreen is waterproof & sweat-proof, it is indeed! 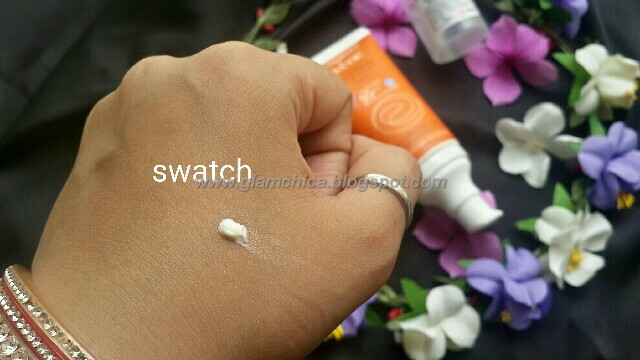 Texture of this sunscreen is a thick white cream which is really emollient, absorbs easily without making skin greasy or oily, within seconds it assumes matte finish. It stays on pretty well because of its water resistant feature. I use to sweat like hell & applying any sort of cream-sunscreen doesn't makes sense but this sunscreen has change my views. My skin feels more radiant, no white cast as mostly sunscreen would do. Even though I sweat it doesn't comes off on rubbing or blotting for next few hrs. After 5-6 hrs my skin feels little shiny, no issue it can easily be solve using blotting paper. I'm really impressed with the texture & consistency. It doesn't break me out not even once. This sunscreen is boon for oily skin people, can be use throughout the year. It comes in other variant too for dry skin people. The only thing I didn't like is the fragrance, it has flowery kinda smell which is little weird but gone away after sometime. Now talking about the price & quantity, it is really a high end brand. 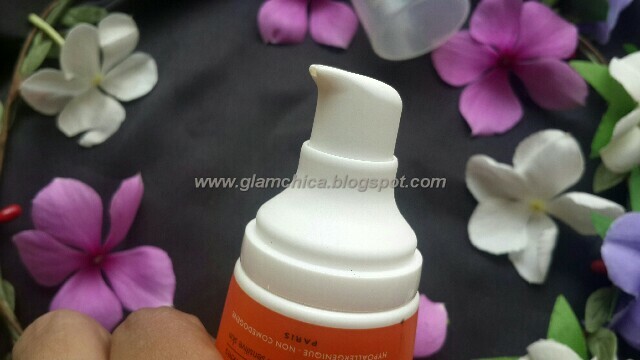 At this price tag you get only 50 ml product, which fairly last you for more than 2-3 months because two-three pumps are required to cover entire face & neck. I don't mind splurging in when you get such a prominent & remarkable product. 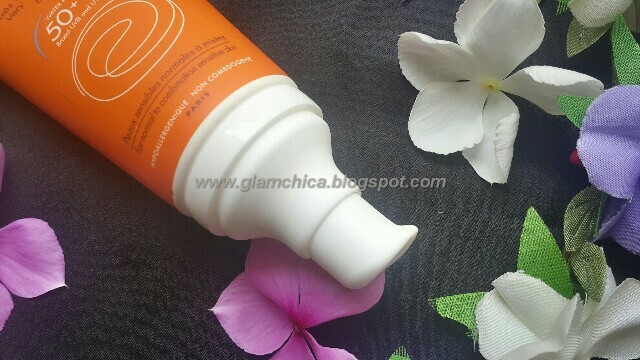 Final Verdict : Avene Very High Protection SPF 50+ Emulsion is formulated for oily skin beauties, which is paraben free, hypoallergenique & non-comedogene, means suitable for acne prone skin too. It doesn't break me out neither form any whitish cast. Above all it is waterproof & sweat-proof, which is a blessing! I highly recommend this! P.s : This post was much awaited for review but due to my personal commitments I couldn't do it earlier. Better late than never! 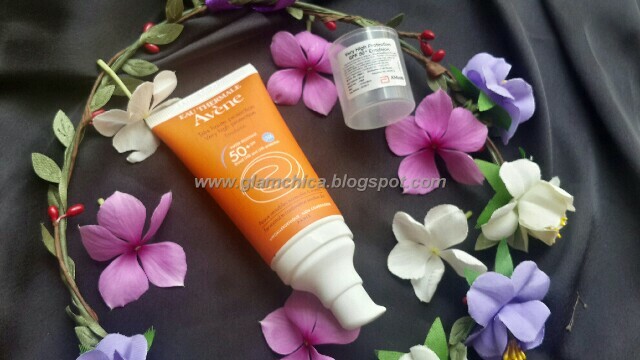 Have you tried Avene Sunscreen Emulsion! Do share your comments below! Stay tuned with GlamChica for more product reviews, fashion trends, makeup looks! Subscription box includes : 3 exclusive manicure tip nail polish, Base coat, Gel finish top coat & free goodie -Stay quirky nail polish remover. I came to know about this brand last year through Instagram, very glad to try out there huge variety of nail paints. Coming to this box, I'm super impressed with these. When I came to know about august subscription box without any second thought I placed my order. I'm pleased with it! 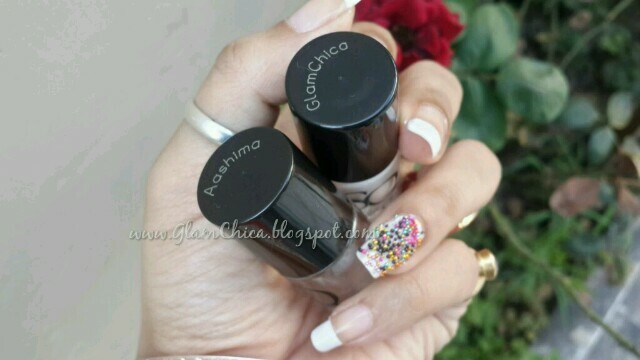 Three of the tip manicure nail polish have been etched with my blog name - GlamChica, the gel finish top coat & base coat have been etched with my name- Aashima. I found this process is so cute & elegant! Talking about the staying power, they stays fairly long more than a week without any chirping ( saying this based on my past experience with other shades of this brand ), will update you if any chirpiness I found in between. Shade #2 - White : This is the typical white french manicure nails, my all time favourite! 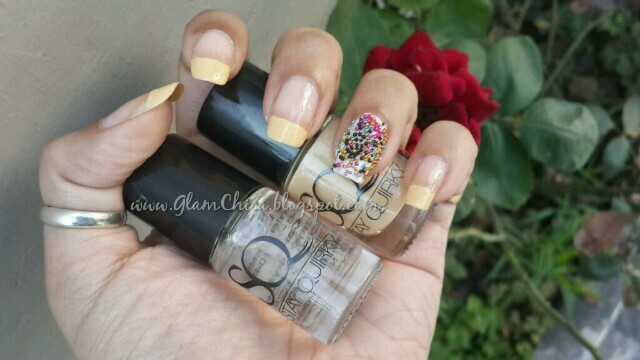 The Stay Quirky nail polish base coat & gel top coat has equally impressed me. You could see very less difference between white & baby pink in the pictures but in person it is easily noticeable. Final Verdict : I would definitely recommend you to try out Stay Quirky exclusively launched french manicure kit. They are outstandingly admirable nail polish, budgeted & have matchless variety of other shades, exclusively available on purplle.com . Thrilled by there performance, highly recommend to all the nail lovers. Go grab your shades soon before they get out of stock! P.s : I quite liked there nail remover too, hasn't arid my cuticles, contains vitamin E.
Do share your comments below what you think of this French Manicure Set! 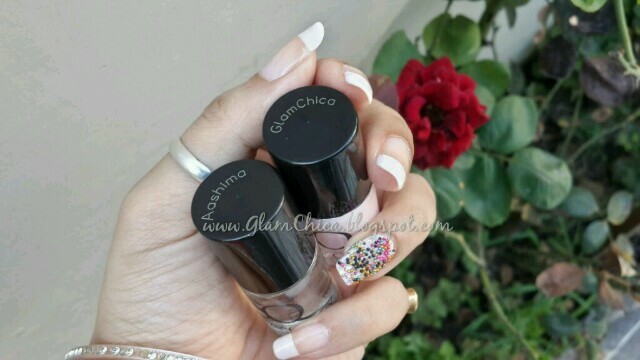 Stay tuned with GlamChica to know more about fashion trends, product reviews, nail trends!